The Roof Crop’s flagship farm is a green roof farm rooted in Omni’s® comprehensive green roof technology. The farm is located in Chicago’s Fulton Market neighborhood, and it is a space for food, fellowship, education, and employment. Growing in just 3 to 8 inches of Omni Infinity Media®, the roof produces 44 crops in more than 100 varieties including apples, potatoes, radishes, turnips, and raspberries. Each week during harvest season, produce from the roof is picked and packaged onsite before it is sold to nearby restaurants and consumers, and served in locally-sourced dishes. 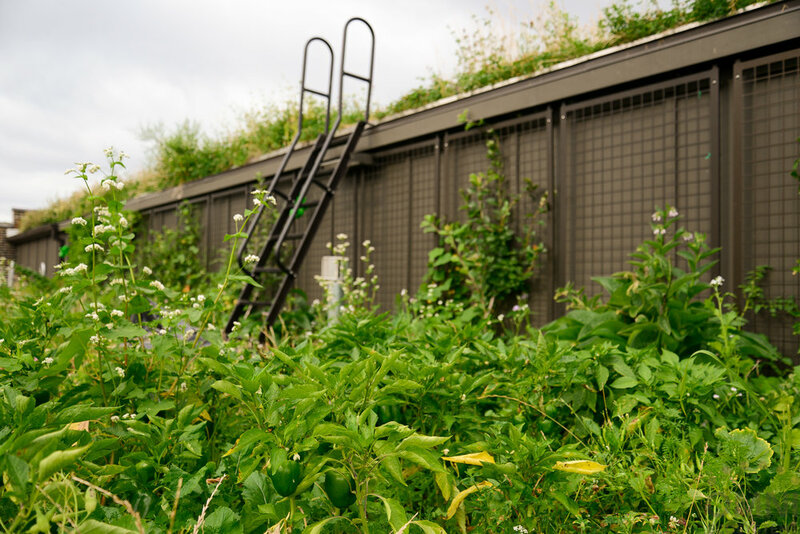 The project offers an alternative model for urban and rooftop agriculture, where green roofs are spaces for multifaceted community engagement and ecologically-responsible food production.